Fun fact: while most “Top Spin” models here in the United States are on a pre-determined “cycle” meaning all the ride operator does is push the button and a computer takes over. 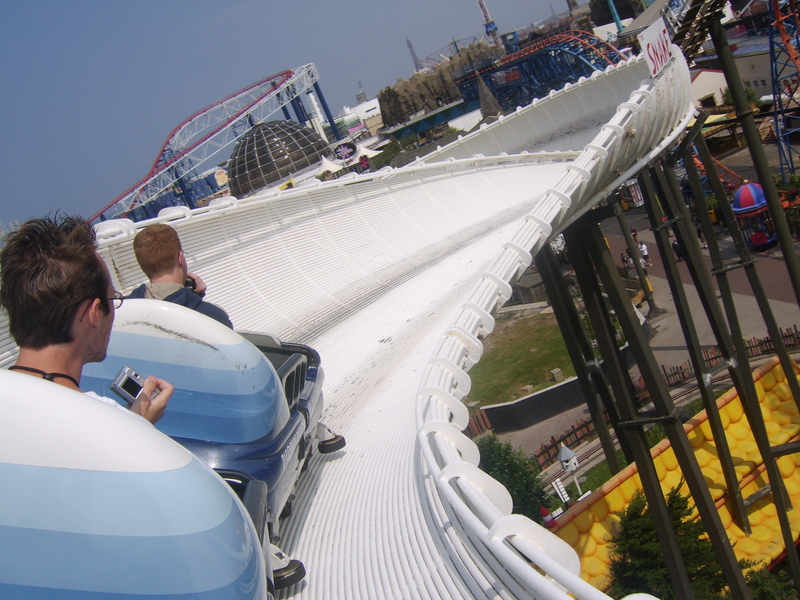 However, most rides in Europe are run in the far more awesome “manual mode” meaning the operator has complete control over length of ride and intensity (as well as what music he or she plays during the ride). With the Sochi Olympics now officially open – the world will showcase the best in winter sports, many of which call to us thrill seekers. But while most of us will never have the guts to try a ski jump or snowboard a half pipe – there is one Olympic sport that you CAN experience…and it’s one HELL of a ride, too! And the best part – you don’t have to travel all the way to Sochi, or even Vancouver to experience this thrill ride – it’s just a short flight away, in Park City, Utah! 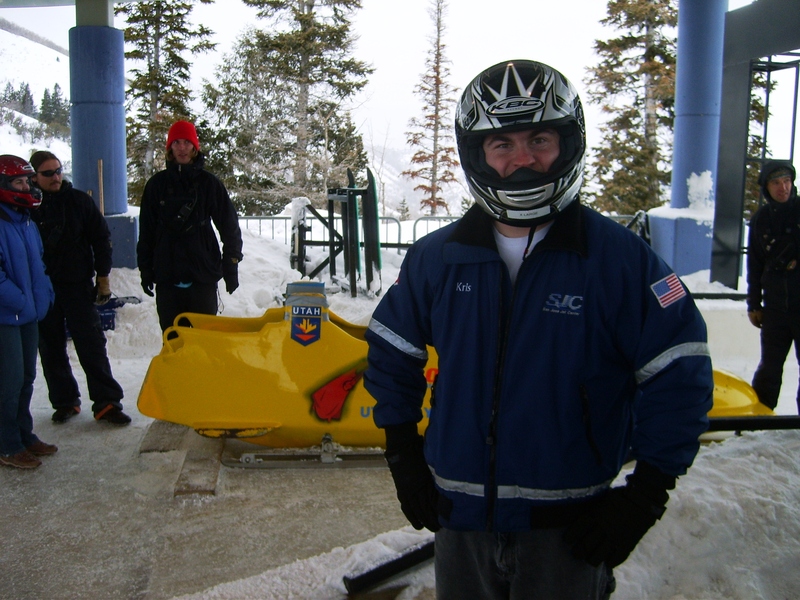 Preparing for the 80 MPH thrill ride that is “The Comet” at Utah Olympic Park. Participants of this thrill ride are warned several times, that a flip like this is a real possibility. 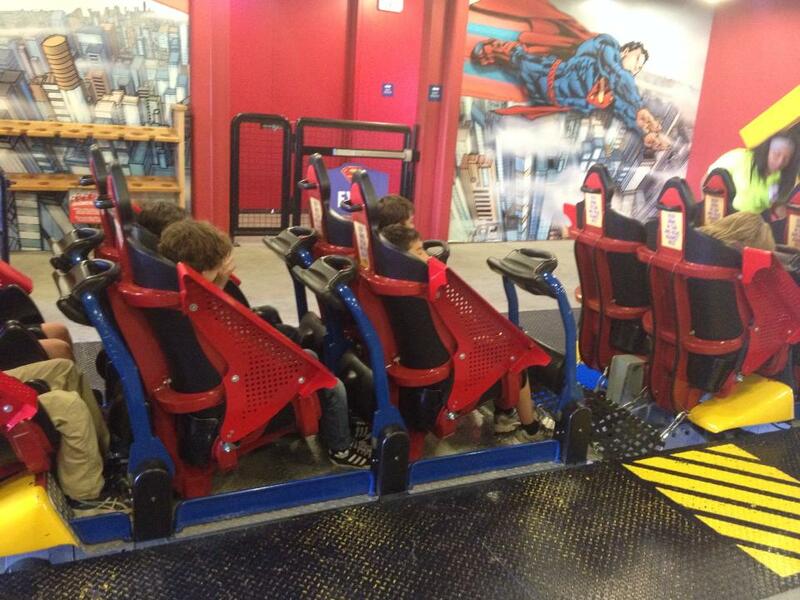 Despite what it looks like on TV, the ride is rough…VERY rough – and puts an incredible strain on your body. In some instances, g-forces reach between 5.0 – 6.0 G in an instant as you enter the turns. So, if you weigh 200 lbs, like me – that means you feel like you weigh 1200 pounds in an instant. People with heart, neck or back issues – need not apply. This may look like fun (and it is once or twice), but it’s an incredible amount of work to steer these bullets on ice – while concentrating though incredible g-forces…these folks are TRUE athletes to be able to make multiple runs in the sleds each and every day! Ironically, the “bobsled” coaster (built by Intamin of Switzerland) was a mainstay of many parks. 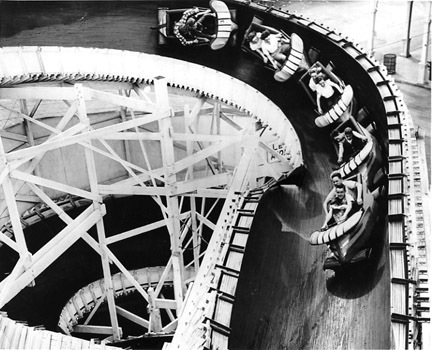 Even before Intamin was created, “Flying Turns,” made of wood – were in many traditional parks around the country. Knoebels, a park known for taking daring risks to preserve ride history – recently debuted their “Flying Turns” – a wooden bobsled coaster that MET modern safety regulations and codes. The Intamin Bobsled coaster saw a surge in popularity in the 1960’s through the 1980’s. Flying turns were found at many parks – and saw a resurgence when Intamin began to market steel, less maintenance-heavy versions in the 1970’s. 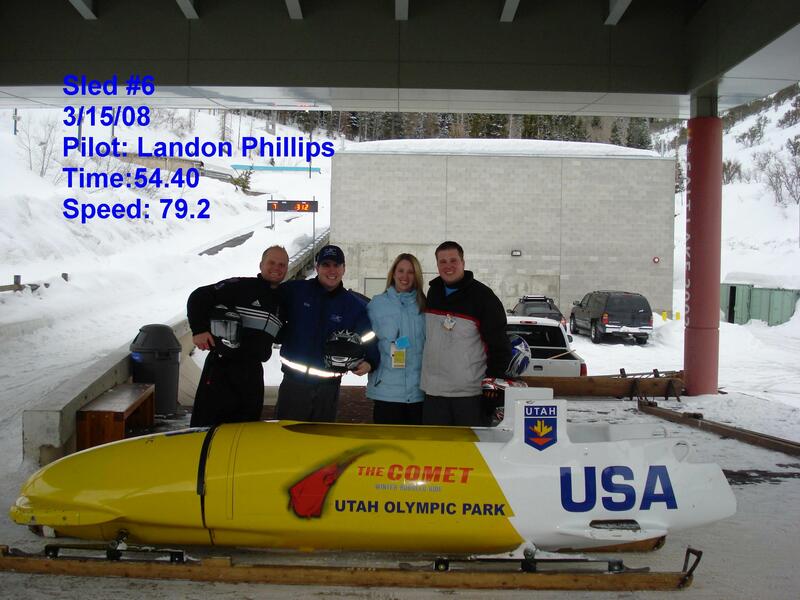 Even more ironic – the bobsled is directly responsible for the development and impetus for the roller coaster. As far back as 1650, there are documented reports of Russian ice slides, which eventually added wheels to allow for year-round operation. (Except in Siberia). Eventually, hills and loops were added – and the modern roller coaster was born. But, back to the present day – while Knoebel’s was able to bring back the tradition of the wooden “Flying Turns,” and Intamin had their bobsled coasters – they certainly don’t come close to the 80 mph top speed – but with that being said – they’re still definitely worth a trip to experience. That being said – there is ONE thing about the Comet that puts off many people – the price. A single plunge will cost you $199. 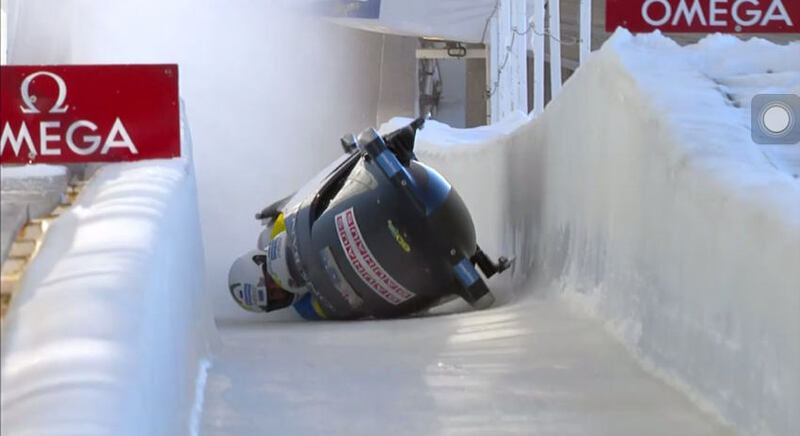 But, for the true thrill seeker, it’s a worthy investment to say you rode (barreled) down an Olympic bobsled run at 80 mph…on blades and ice. (If you visit in the summer, they still run the sled, albeit on concrete and with wheels – at a slower 70 mph. So while you watch the bobsleds scream through the Olympic course these next few weeks – grab a ticket on the Comet – and experience it for yourself! 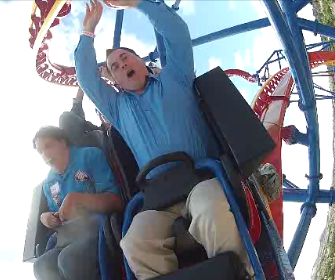 Special thanks to Great American Thrills® friend, Lydia LaPutka for allowing me to experience this once-in-a-lifetime thrill! While the economy continues to trudge around, improving slowly – we’re starting to see parks re-invest in themselves once again, with larger, more ornate attractions. While it’s true – you can’t (and shouldn’t) add a coaster each and every year – it’s great to see parks and chains aren’t scared off to build by credit crunches, slumping attendance or instability in the market. 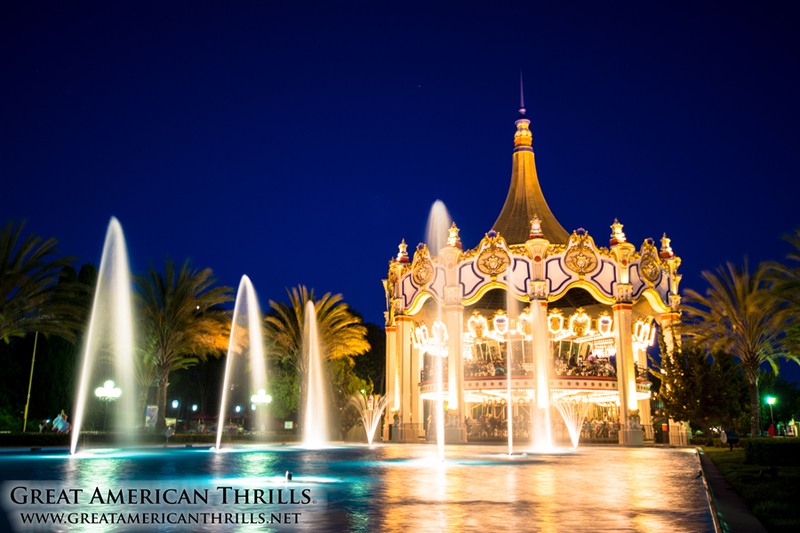 Still the tallest carousel in the world, Carousel Columbia makes for a stunning subject at night. 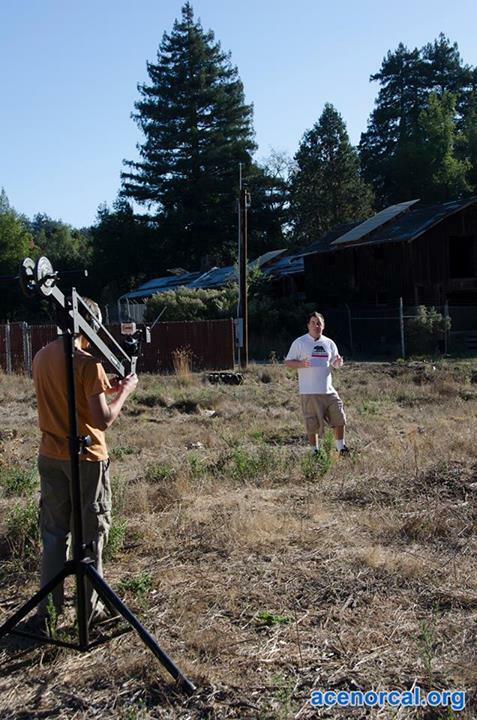 Photo by Kris Rowberry, all rights reserved. If you were to tell me five years ago that California’s Great America would still be open, let alone THRIVING in this new decade, I would have probably wagered a hefty sum against you. But, here we are in the ‘teens, and I couldn’t be happier to be wrong. What once appeared to be a contentious relationship between Cedar Fair, the City of Santa Clara and the San Francisco 49ers (and subsequent de-investment in the park) finally improved. Even a minor spat over noise levels this past summer with neighbors couldn’t derail this parks’ epic climb back from it’s dark abyss of only a few years ago. I have a confession to make: I have always had a soft spot for this park – my family took me there every summer for my Grandma’s company picnic. I unlocked my love of the thrill ride on a fateful launch of the Tidal Wave there in 1993 – to see a place I grew up in becoming healthy again; it should warm the soul of any long-time south bay resident. For the first time in many years, the park has personnel in positions of power, who truly care about the direction of park and more importantly, what it means to the local community (and economy). From new paint and roofs, the return of themed park sound, upgraded shows and a truly stunning Haunt presentation – CGA has shown it’s fans and employees not only what it wants to be, but what it CAN be. Throughout the 1980’s and 1990’s, park fans saw an incredible amount of new inversions and combinations of ways to throw yourself upside down. 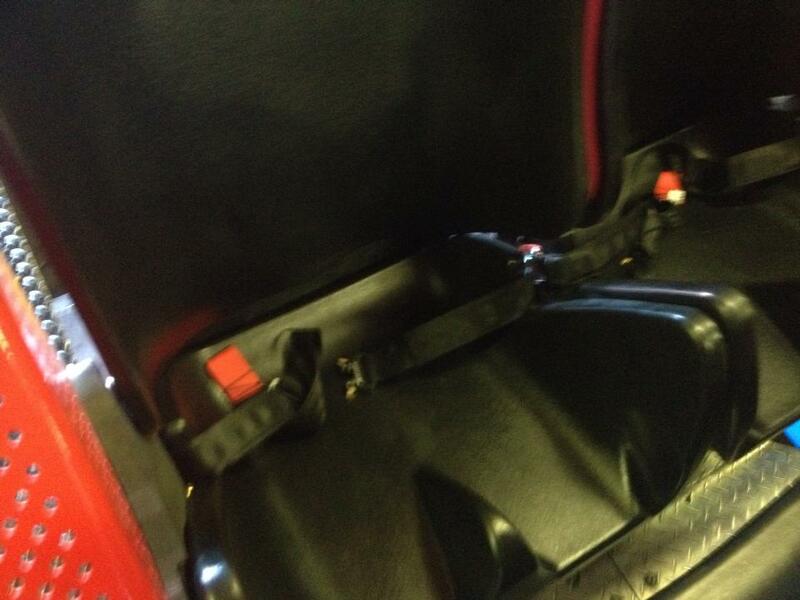 However, it came at a caveat – riders had to be locked into restrictive OTSR (over the shoulder restraints). But towards the latter end of the 1990’s, the industry began a switch – away from the sometimes painful “headbanging” OTSR restraints and into more advanced, sculpted lap bar restraints. By immobilizing the entire leg – designers could now perform aerial stunts once thought unheard of without OTSR’s – and our heads and chests are still thanking designers for it! Let’s face it – we all need a good laugh every now and then. 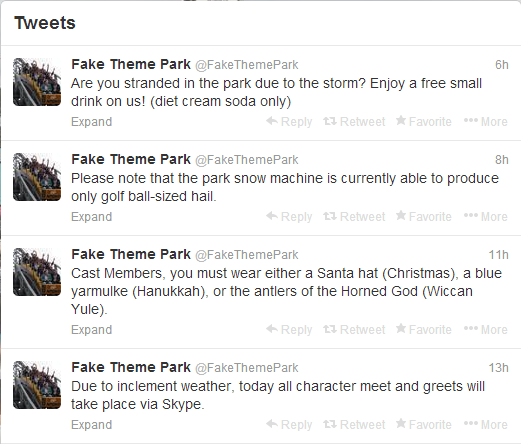 This Twitter account does it’s best to pretend to be a an actual park, but with situations that would make any good park spokesperson have a heart attack. 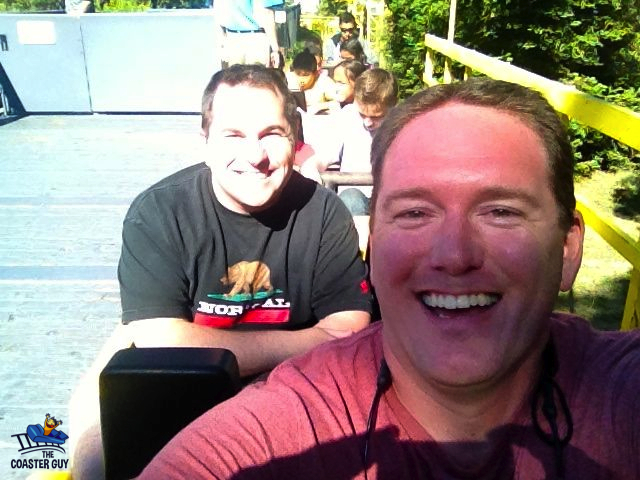 Despite the efforts of an isolated few in the amusement park fan community – I’ve found that our common love of parks and rides (not affiliation to specific sites) is still what bonds us together…and that the bond is stronger than ever. After more than a year of working on growing this brand, I’ve been blessed to meet so many new acquaintances that I now can call friends. And isn’t that the point of having a hobby…to meet others that also share in your interests, and to in turn enjoy that hobby with them? That is the sign of a true enthusiast community – and the mark of a thriving one. So when you sit down and enjoy your turkey and gravy with friends and family – know we’ve got a ton to be thankful for this year and for the upcoming year as well! November 28, 2013 | Categories: Amusement Parks, Theme Parks | Tags: amusement park, amusement park review, amusement parks, california's great america, coaster enthusiasts, great american thrills, happy thanksgiving, kris rowberry, kristopher rowberry, lap bar, lap bars, OTSR, over the shoulder restraints, ride restraints, roller coaster, roller coasters, thanksgiving, the economy, theme park, theme park review, theme parks, thrill ride, thrill rides, turkey, turkey day, what are you thankful for | Comments Off on What are YOU thankful for this Thanksgiving?